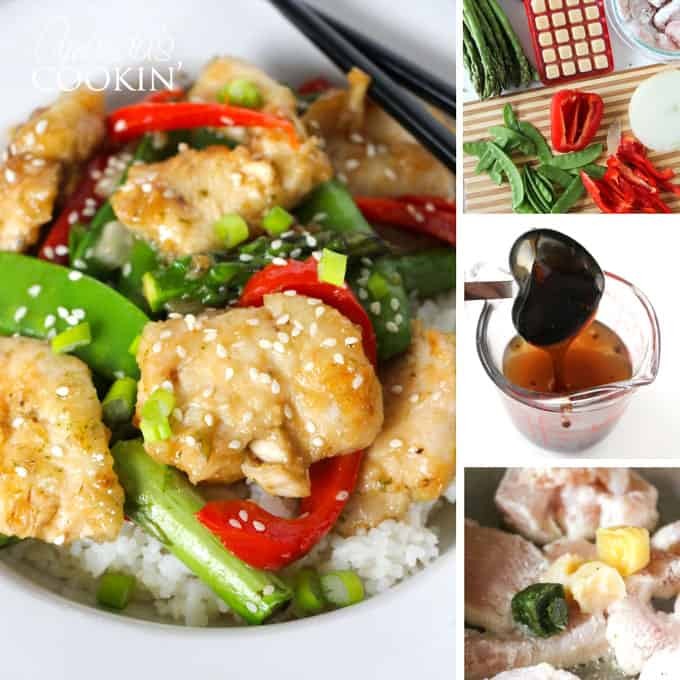 I have always loved stir fry dishes. They are so easy to make and full of fresh vegetables and lean protein. In fact, as my kids were growing up I knew that if I served stir fry, no one would argue or complain, they are all fans like me. 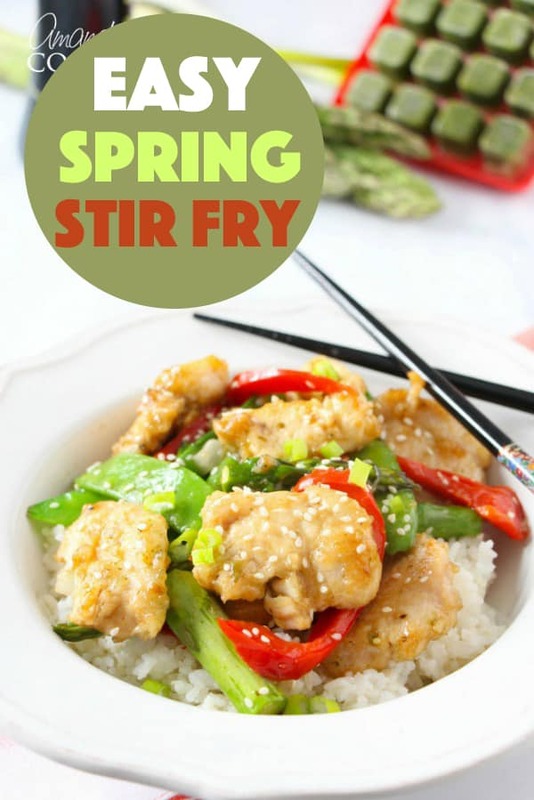 It’s officially spring now and I couldn’t be more excited, so I’m celebrating with a spring stir fry! One of my pet peeves in the kitchen is thinking that I have everything for a recipe, only to go grab my fresh herbs and realize they have dried up, wilted, or gone bad. Or worse, I’ve run out of my stash from the fall harvest and now I’m just without! Especially when herbs take such a main role in creating the flavor profile in most of my favorite meals – I have to choose between either losing flavor or running out the store just for that one ingredient. I recently tried some frozen herbs I found at the store and they were surprisingly good! 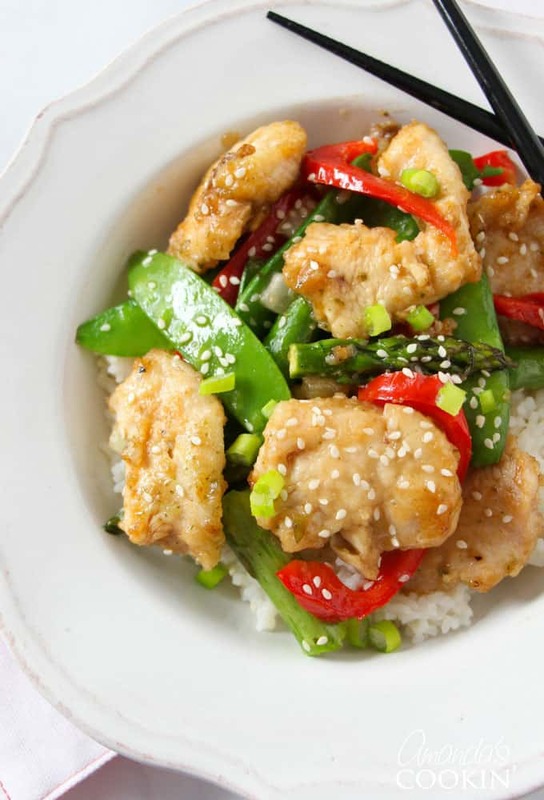 I adapted my classic Chicken Stir-fry recipe, which I decided to give a fresh spring take on – using spring vegetables such as asparagus and snap peas to help celebrate and bring out the bright, fresh flavors of the season. 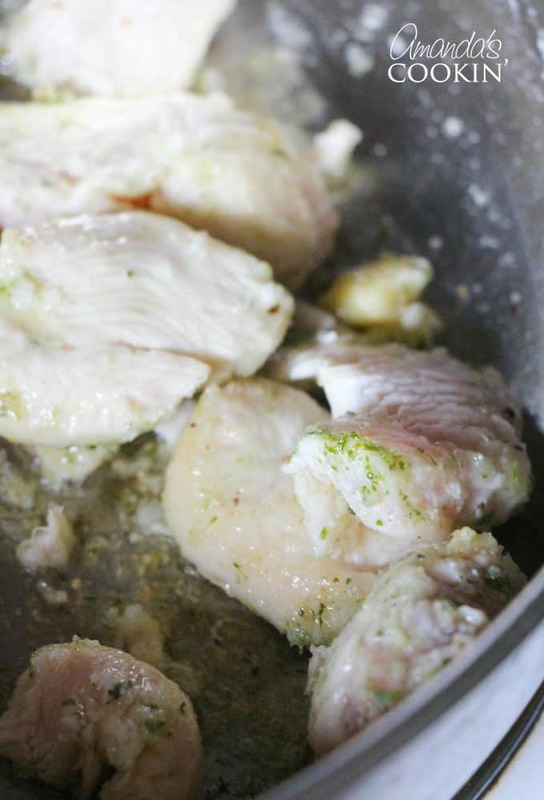 Slice the chicken breasts into thin strips about 2″ long. Breast meat is the leanest and trimming any excess fat from the meat makes for a delicious and leaner stir fry. 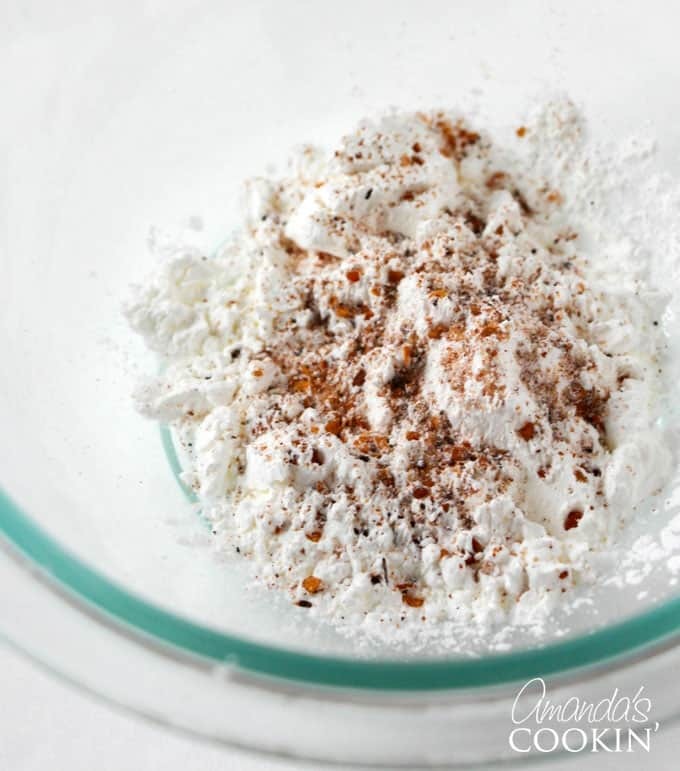 Stir together the cornstarch and chili powder and mix well – toss the chicken in the mixture. Set aside. Wash and dry the vegetables well. 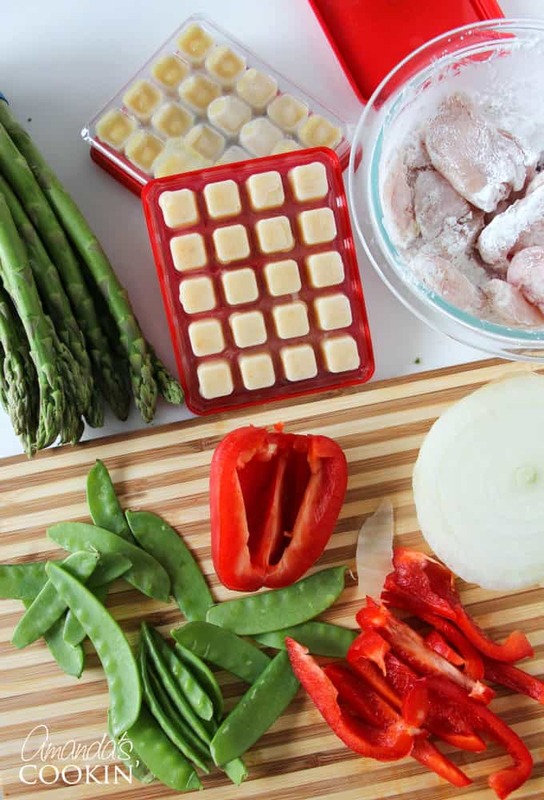 Chop the asparagus in 3″ pieces, remove any rough ends from the snap peas, and slice the red peppers. In a wok or skillet over high heat, add the canola oil. Heat oil on high until hot but not smoking. 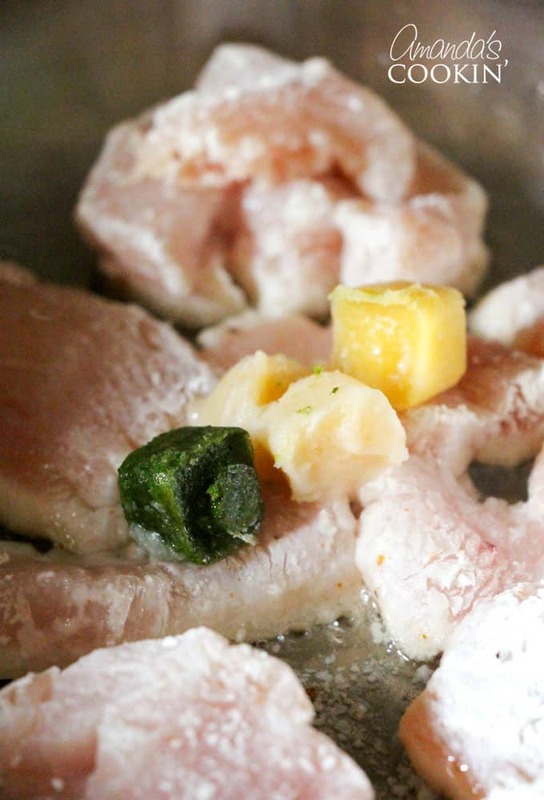 Add the chicken and Dorot frozen herb cubes, and stir fry until chicken is no longer pink, about 1 to 2 minutes. Stir to prevent sticking. 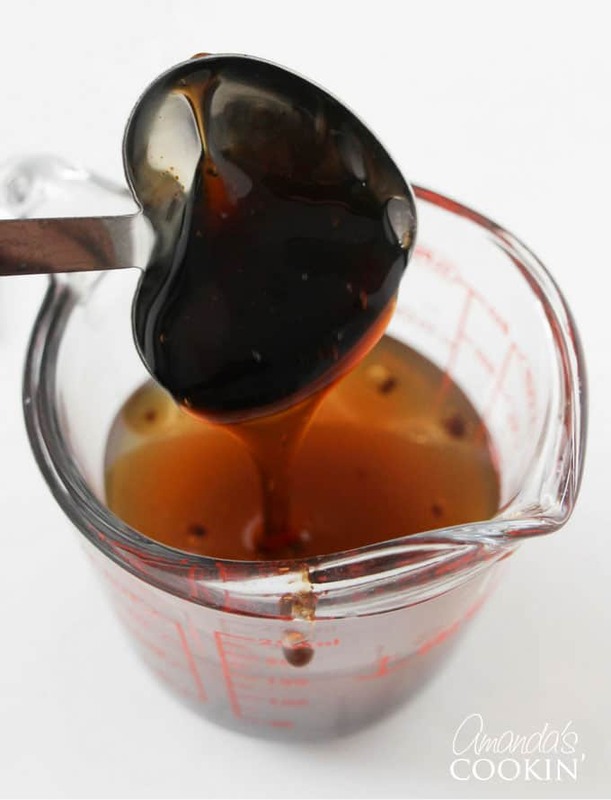 Add the chicken broth mixture and cook for another minute or two until almost half of the liquid has evaporated and the remainder forms a thick sauce. Add the vegetables and toss together for 20 seconds. Remove from heat and serve over warm rice. 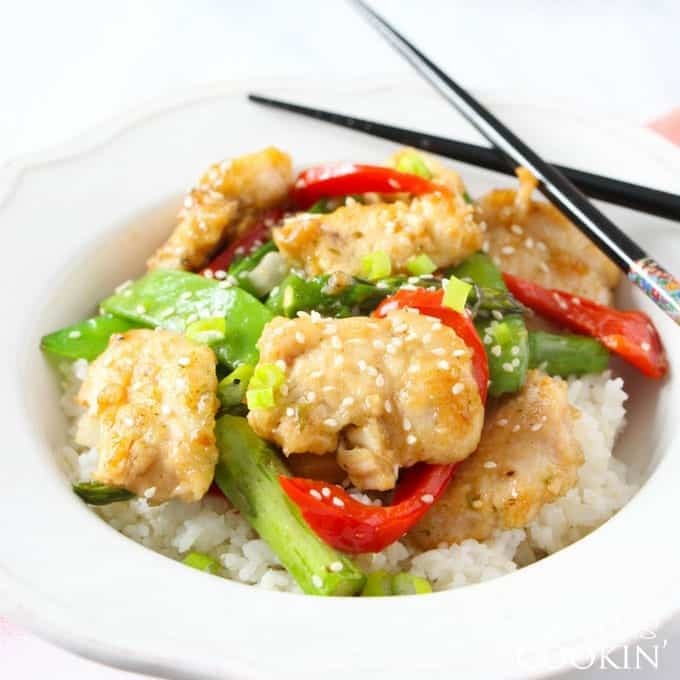 Optionally, garnish with sesame seeds and diced green onion. 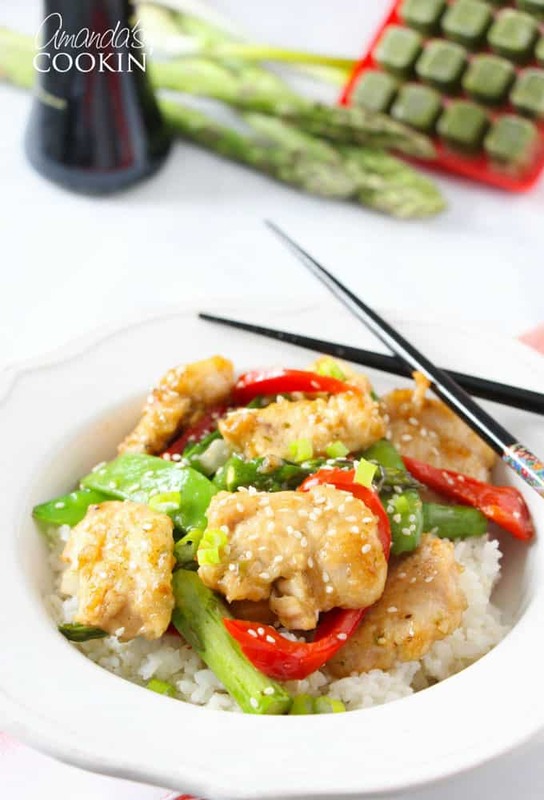 This beautiful spring stir fry includes fresh spring vegetables such as asparagus and pea pods with some colorful peppers to brighten things up! Slice the chicken breasts into thin strips about 2" long. Add the cornstarch and chilli powder and mix well. Set aside. Wash and dry the vegetables well. Chop the asparagus in 3" pieces, remove any rough ends from the snap peas, and slice the red peppers. 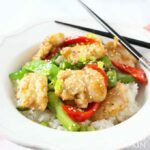 This spring stir fry is a delicious meal with bright flavors and plenty of healthy vegetables and protein. Hope you enjoy it as much as we did! 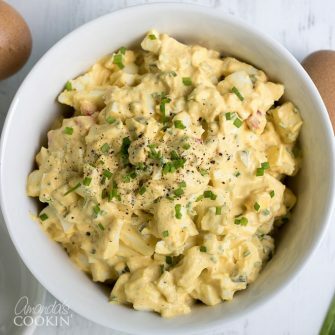 This looks like a yummy weeknight meal – so perfect for this weather, and fast too! Dorot Products are not in California. How much fresh ginger, garlic & parsley would I use? Love stir-fry . I just made a shrimp/asparagus stir fry tonight for dinner. Hi, Nadine. Do you have a Vons, Trader Joe’s, or Whole Foods near you? All of those stores sell Dorot products! 1 cube= 1 teaspoon so you will need 1 teaspoon parsley and 1 teaspoon ginger.